I made soap this week, but I haven’t taken pictures of it yet – those will come later. 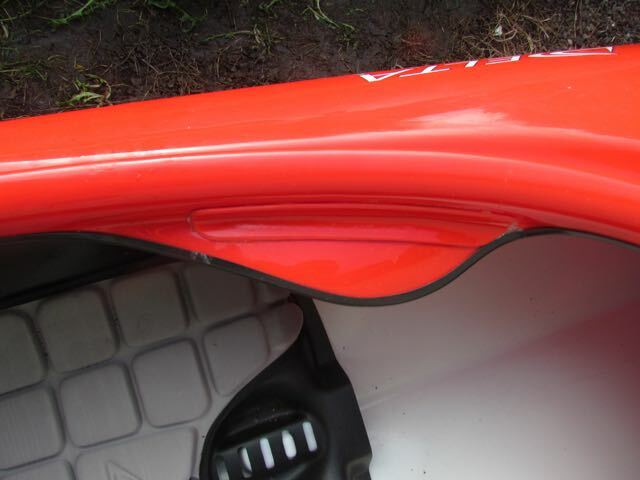 Instead, since we had a rare patch of sun today, I decided to repair a crack in the cockpit of my kayak and have a look at the free one donated to our club a few weeks ago. The repair of my thigh brace went well – the company sent me a plastic patch to lay over the top (it’s a 14′ Delta Kayak, made from a lightweight ABS plastic) and some epoxy to hold it in place after a bit of sanding. I love my Delta. It weighs nothing (45 lbs), it has unique ‘gas-pedal’ style rudder pedals, a surprising amount of bulk storage, and a snack hatch! It’s just fun to paddle. I’m not entirely sure how the thigh brace cracked. My guesses are either that I jumped into it too abruptly launching from a rocky patch into a quick-moving stream or something to do with my 13-year-old son. The donated kayak is a 21 foot fiberglass tandem. 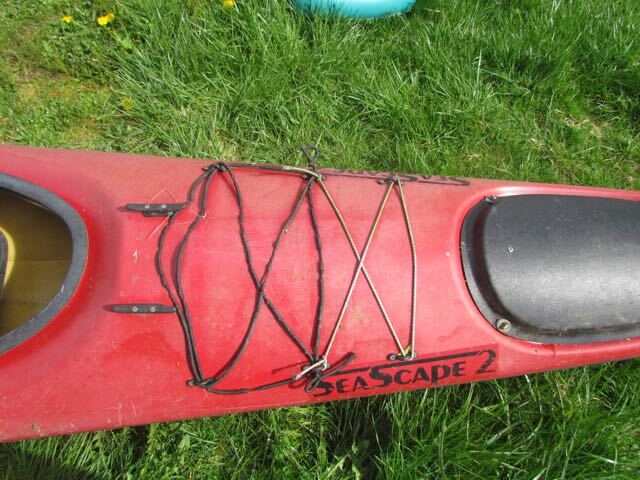 A “Seascape 2” by Northwest Kayaks. I’ve seen them used by a lot of touring groups in the area. It had been stored upside down under a hedge for many years and the rudder was broken off. Today I went to see what we were up against. 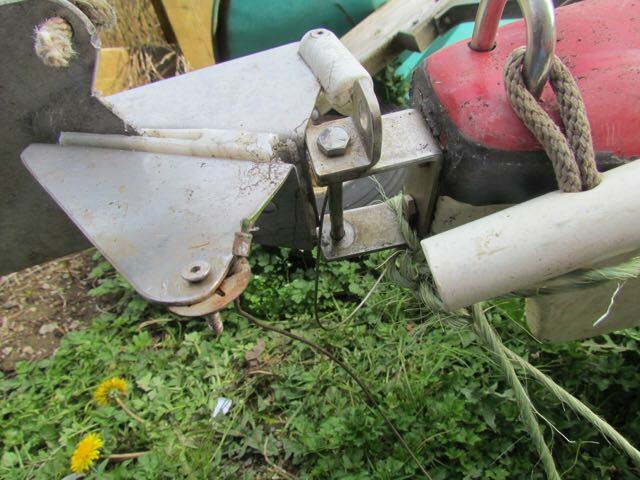 All the bungee needs to be replaced and I had to pry/cut off two rotten pieces of wood that had once been used to mount an outrigger. Fixing the outrigger holes and maybe some new gel-coat should do it for taking care of the body. I don’t trust the hatch seals, but I’ll test those when I get it into the water. These are my ‘before’ shots. 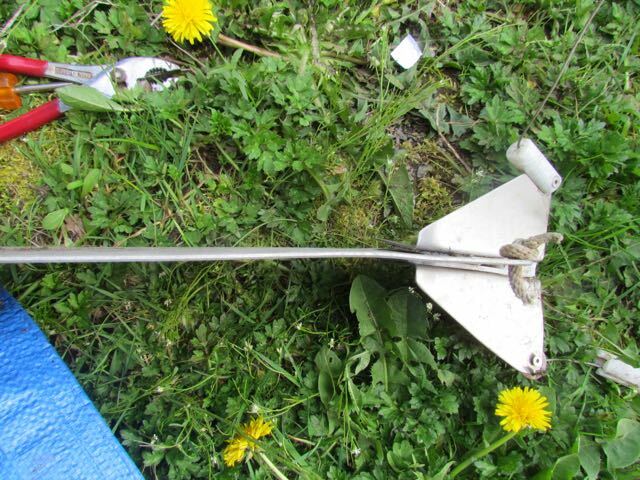 I hope we can either replace or manufacture all the parts we need to get this rudder working again, and get the whole thing cleaned up – it’s filthy. A shot of the 2 kayaks side-by-side. 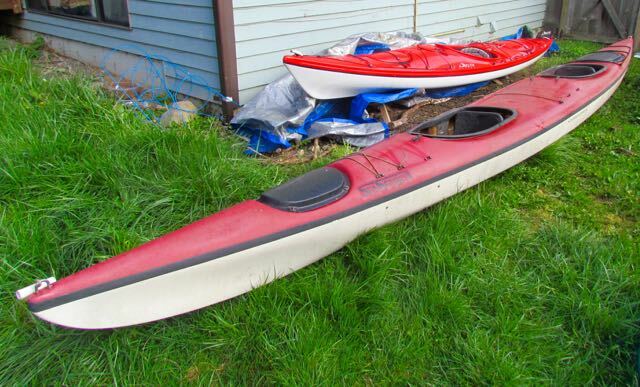 The 21 foot tandem makes my 14 foot long sea kayak look like a toy. The patch job on my Delta’s thigh brace.